Do you remember Masterpiece Cakeshop? The Colorado bakery made headlines last year after the Supreme Court sided with its Christian owner and against “social justice” activists — and the shop just got even more good news. 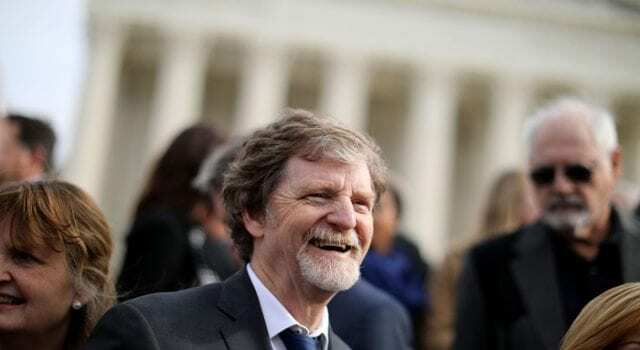 On Tuesday, the Colorado Civil Rights Commission finally dismissed its administrative action against Masterpiece Cakeshop and its owner, Jack Phillips. As part of a settlement, Phillips in return ended a court case that he had filed against Colorado, meaning that the long saga is finally coming to an end. “Today is a win for freedom. I’m very grateful and looking forward to serving my customers as I always have: with love and respect,” Phillips told Fox News, clearly relieved that the ordeal was over. The controversy surrounding Masterpiece Cakeshop began back in 2012 when Phillips declined to supply custom cakes for a gay wedding between residents Charlie Craig and David Mullins. Phillips cited his religious beliefs for not being part of the wedding but indicated that he didn’t hold any ill will toward gay couples. Previous articleDoes Antisemitism run DEEP in the Democrat party?